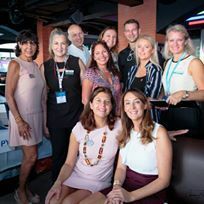 A huge thank you to all crew who participated and put in such a tremendous effort to create some really stunning table settings, canapes and cocktails. It was a very close fought competition. Some categories were particularly difficult to decide upon, since every team brought so much to the competition. Thank you to Gourmet Deliveries and Home and Yacht Linens and Interiors for their support and generosity with the amazing prizes. Best Table: Presentation, accuracy, impact of table. 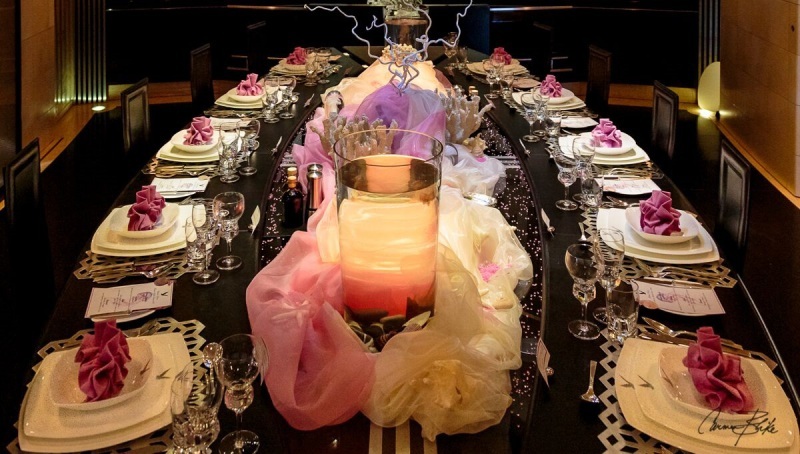 Even our many photographs couldn’t do justice to the visual impact we experienced on seeing the table created by Jennie Nielsson and her team. A truly breathtaking creation, sensitively and beautifully created to represent the Pink theme associated with cancer awareness. From the mermaid ice sculptures to live pink jelly fish floating gracefully in glass bowls at either end of the table, to delicate pink and white netting representing the ocean waves as a centerpiece to pearl-studded corals - everything was meticulously executed and the end result, nothing short of fabulous! And we can’t forget the heartfelt explanation given by Jennie to sensitively describe the meaning behind the setting, which brought some of the judges to tears! Well done – a truly memorable effort!! 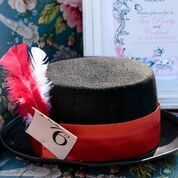 A beautiful, fun and highly creative table setting representing the Mad Hatter’s Tea Party, whose theme was in evidence, even at the passerelle and the foot of the stairs leading to the upper deck. 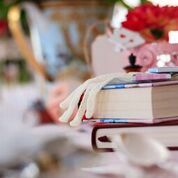 Created by Katrina Mumford and her team, it was a fabulously original setting with a plethora of gorgeous “Mad Hatter” artifacts and decorative ornaments which made the table a joy to judge, as we found more and more delights at every turn. 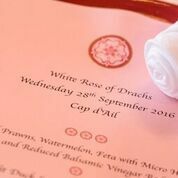 We really appreciated the gorgeous, personalized place settings and beautiful themed menu cards, as well as the very pretty napkins. An excellent effort. A very close third!! 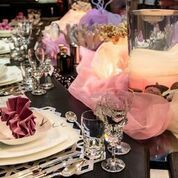 Sladana Semunovic and her wonderful White Rose Angels created an eye-catching and elegant table perfectly representing the “Pink” theme with a beautiful centerpiece of pink orchid sprays creating a real WOW factor on arrival. 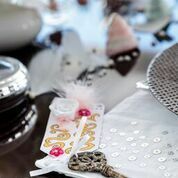 The story behind the creation was sensitively told by Sladana and beautifully represented by the setting which contained a number of beautiful, inspirational books creatively placed around the table. 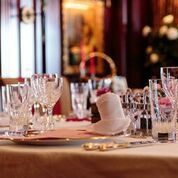 Had it been used at a charity event for cancer awareness we are sure that contributions from any diners sitting at the table would have been more than generous in appreciation of their surroundings. Both the story and table setting really touched the judges’ hearts. Many thanks to a lovely, happy cohesive team of Angels. 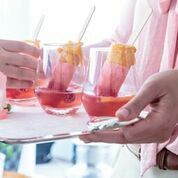 Best Cocktail: Creation/Serving and taste of Cocktail. 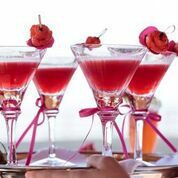 The winning cocktail was a scrumptious combination of Gin, egg white, raspberry syrup and fresh lemon, delicately decorated with a sprig of fresh rosemary. A visually pleasing delicately coloured cocktail with a lovely foam on top. Light, tasty and refreshing. Delicious cocktail composed of watermelon soaked overnight in rosewater syrup, then combined with raspberry vodka and triple sec. 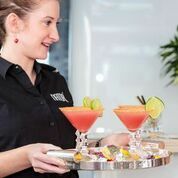 The cocktail glass was then delicately decorated with a rosewater syrup and golden sugar and decorated with a slice of lime. Fresh, light and very pretty. 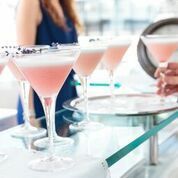 Created and served by Richard Peake, wearing a smart pink shirt.Beautiful combination of Jamieson whiskey, Lychee liquer, fresh lemon, blue Curacao and egg white. Decorated with pink sugar crystals and a slice of star fruit. NB We also appreciated the pink bar cloths and container tops used in the bar set-up. 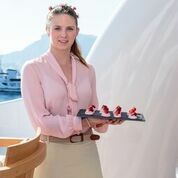 A fabulous display of pink-coloured canapes designed and created by chef, Inger Neilsen. 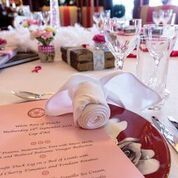 Amongst a delicious variety of canapes, we were regaled with pink cornets filled with foie gras mousse, various raw fresh fish delicacies accompanied by avocado mousse and truffle toast and tender shredded beef hors d’ouvres. 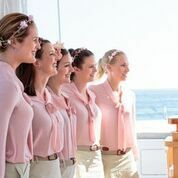 A very well-deserved prize awarded to the Lady Nag Nag’s Chief stewardess Brooke Belton and her team for their very pretty pink blouses and floral head dresses – well done to you all and thank you for going the extra mile in this! Well done to Ella Millington and her crew for their very smart presentation and the lovely pink decorations in their hair to reflect our competition’s theme. We appreciated the beautifully presented, refreshing cold towels on arrival, their warm elcome and great service throughout our visit. Well done! An extremely well turned-out team in crisp, white uniforms with red neckties. Faultlessly polite and sensitive to all our needs. We really appreciated your obvious love of what you do and the very apparent cohesion within the team. A really lovely atmosphere aboard. Keep up the great work!! 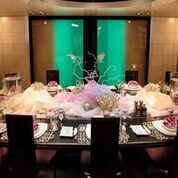 Best Overall: Co-ordination of table, canapes and cocktails - Overall interpretation of “Pink” theme representing cancer awareness. 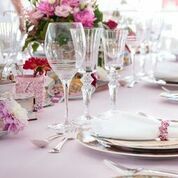 The Pink theme was perfectly executed throughout and although the cocktail was predominantly blue, it had a lovely pink garnish, and fitted in perfectly with the pink/marine theme of the table. 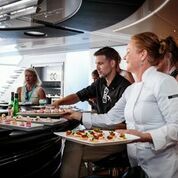 A fabulous effort by Inger and her interior crew, barman and chef. This crew set an extremely high bar for future competitors, so we hope others will rise to the challenge! 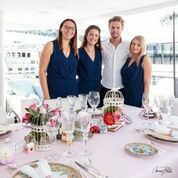 Our Pink theme was interpreted by Brooke and her interior crew.as “Sunset” reflecting the lovely pink tones of the night sky, This was cleverly continued from the ‘Bodacious Tartare Sunset Ice lolly spritzer to the lovely table with it’s sunset tones to the delicious canapes. 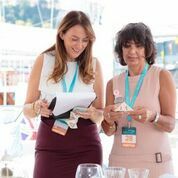 We also appreciated the imaginative menu, thoughtfully created to include ingredients with anti-oxydant properties, known to help combat cancer. 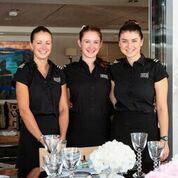 The theme was sensitively interpreted by Sladana and her team of White Rose Angels. It was carried through beautifully from the White Rose Angel and non-alcoholic Rose-flavoured Royal cocktails to the fabulous, inspiring table setting. Well done for your wonderful fore-thought and sensitive creation. Most Fun: Giving us a smile and demonstrating humor. 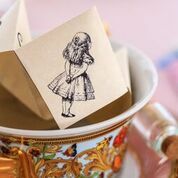 A fun element with the Alice in Wonderland “Mad hatters tea party” theme offered humor from the dock to the table. Greeted with a themed chair and fun sign post leading us to the wonderful table setting. So much detail from the large tea cup to the tiniest cupcakes. Certainly made us all smile. Well done. 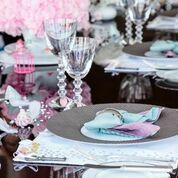 With the “tickle me pink” cocktails and the fun Alice in Wonderland theme, Ella did a wonderful job of presenting the “mad hatters” table with a sense of elegant humor. With coordinated earrings for the team, and a fun menu which (included Whiskey Wine gums and “Kids in a sweet store cheese cake”. A lot of thought had gone into this. The Judges are GUEST Approved Trainers and professionals in their field. 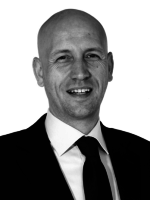 Peter Vogel: Part of the GUEST Exec Committee and is a Mega yacht, Cruise and hospitality specialist. 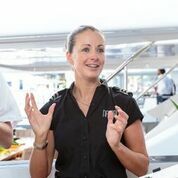 Currently Managing Director of IYS and has over 21 years working on-board large yachts and cruise ships. 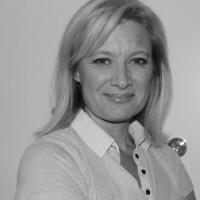 Marie Molls: A Charter Broker and Manager at BURGESS and a fully certified MYBA charter broker. 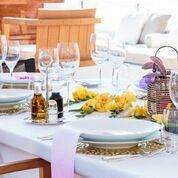 With extensive experience in the hotel and travel industry. Georgie Vintner: Part of the GUEST Exec Committee. 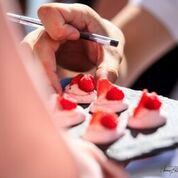 Trained as a programme leader for Hospitality and Professional Cookery. 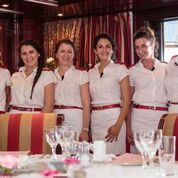 Is currently the Training Consultant for the Cruise line industry, following her 9 year career as a Chief Stewardess in Yachting. 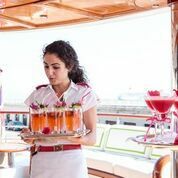 Donna Morris: Trained as an Executive Assistance and Hotel Management before a 7-year international career as a Chief Stewardess/Purser on Superyachts. Is currently the CEO of Superyacht Crew International Australia. 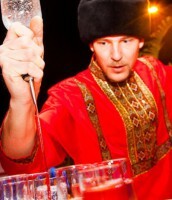 Martin Bender: A Cocktail and Mixology specialist with over 15 years experience, CEO of “Cocktail Chez Vous” providing consultancy and boutique event management services to high profile clients on the Riviera. 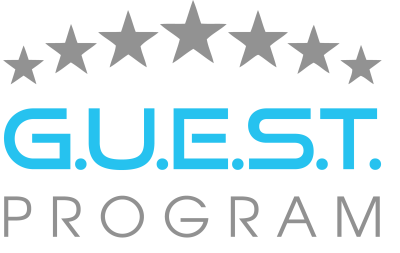 An accredited GUEST trainer on behalf of Fine Wine Works. 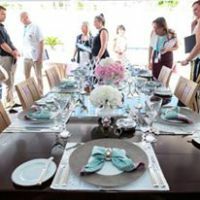 Kate Emery: Founder of Amandine Private Chefs - an agency specialising in the recruitment of chefs in homes, villlas and yachts all around the world. Kate’s overriding passion has always been for food and wine, so much so that she is well on her way to becoming a Master of Wine.
" 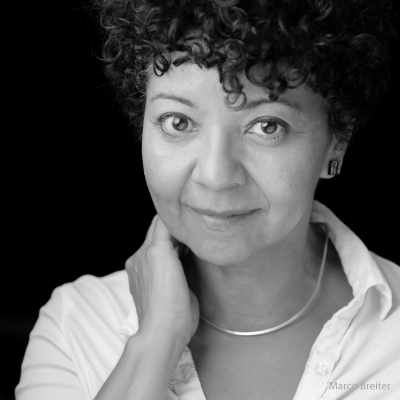 My name is Carmen Blike, a certified portrait photographer with 25 years’ experience. 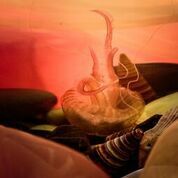 I work quickly to capture images that tell your story, to deliver your message." 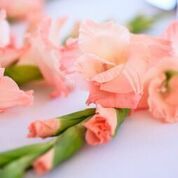 Huge thank you to our professional photographer Carmen Blike. Carmen works with business owners desiring to convey a more human element to their brand. To not only show their competence but their approachability as well.